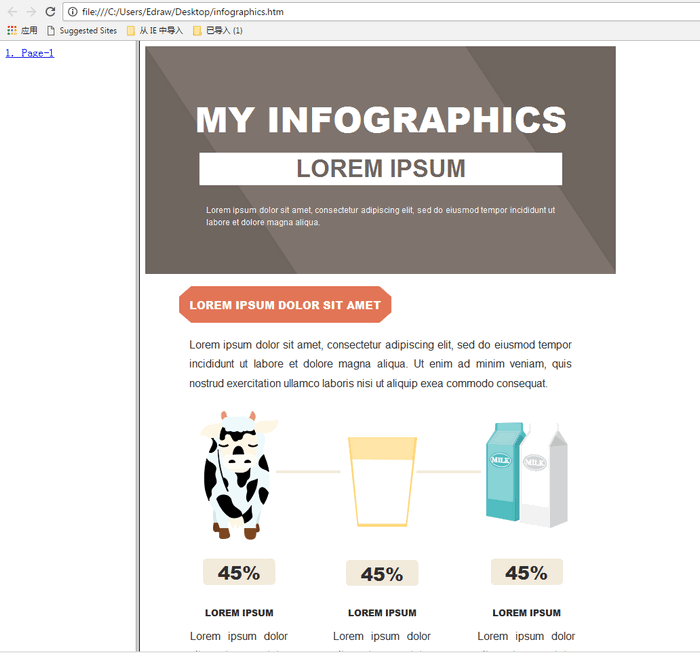 A simple guide on how to export infographics to HTML. HTML elements are the building blocks of HTML pages. With HTML constructs, images and other objects, such as interactive forms, may be embedded into the rendered page. It provides a means to create structured documents by denoting structural semantics for text such as headings, paragraphs, lists, links, quotes and other items. This article will present an easy tutorial on how to export infographics to HTML format. 1. Run Edraw Infographic Software. 2. Click Open to open an infographic you recently created. 3. Go to File > Export & Send, select HTML > HTML Format. 4. Browse your computer and choose a location to save your HTML file. Then you will get your infographics successfully exported to HTML. Here is an exported HTML example. Pre-made editable templates and examples for you to design an infographic easily. 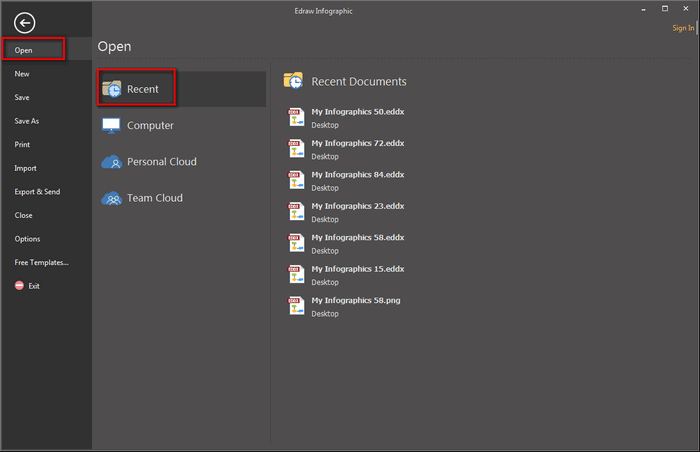 Drag and drop user-friendly interface. Built-in symbols and element makes you create a creative infographic effortlessly. Vector-based functionality: it is a very useful program capable of producing high quality outputs. Preset themes and color bar: change the color of your design in one click. 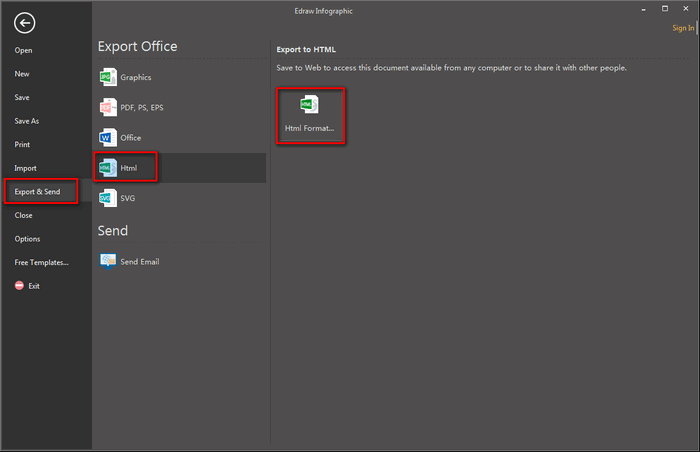 Support export for PDF, Html, Word, Visio, PNG, JPG, PPT, EPS, and many other formats. Want to use the above callout elements in your infographics? Download Edraw Infographic Maker! It includes a large variety of callout shapes which are easy to modify. Design a wonderful infographic is just a few click away. Try it now!